Creamy, packed with fiber and rich in heart-healthy omega-3s, this Almond Butter and Banana Chia Pudding is the perfect addition to your breakfast or snack line up. Hi guys! 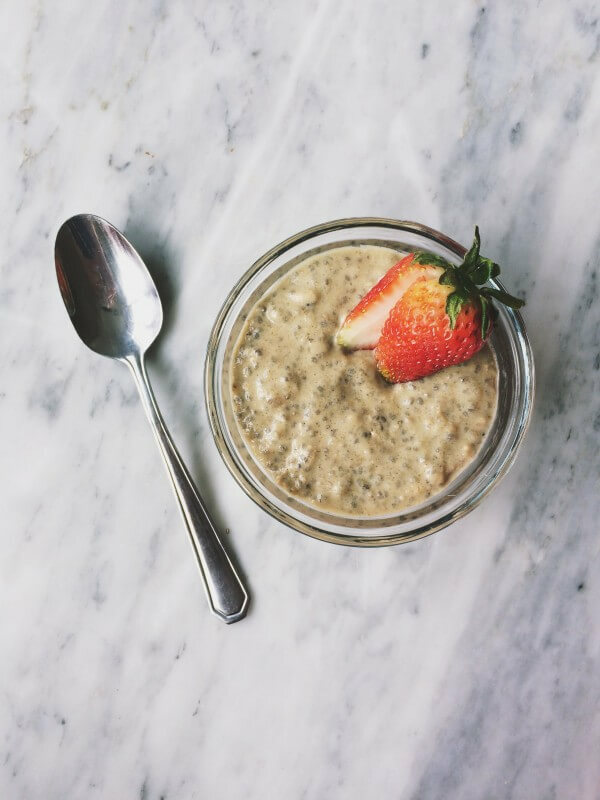 It’s Clara of food fitness & faith, and I’m back on Holley’s blog today to share another one of my new favorite recipes, Almond Butter and Banana Chia Pudding. Now, I hope only positive words came to mind when you heard the name of the recipe. If not, I hope that this post will change your mind! I’ve always been hesitant to try my hand at homemade chia seed pudding. It seemed too daunting and messy and I didn’t have high expectations when it came to the flavor. After playing around in my kitchen and searching the web for chia seed pudding recipes, I think I finally nailed down the perfect combination! The best part? 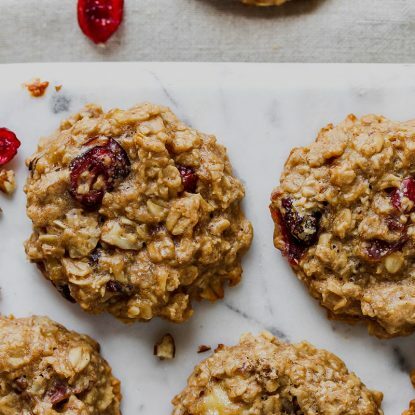 It contains just 5 ingredients and takes less than 5 minutes of hands-on time to combine the ingredients before letting it sit in the fridge for a few hours to let it do its thing. This is the second batch of Almond Butter and Banana Chia Pudding that I’ve made this week and it’s safe to say that I’m hooked. I made three snack-sized servings out of my first batch but opted for a more substantial breakfast option the second time around only dividing the batter into two servings. 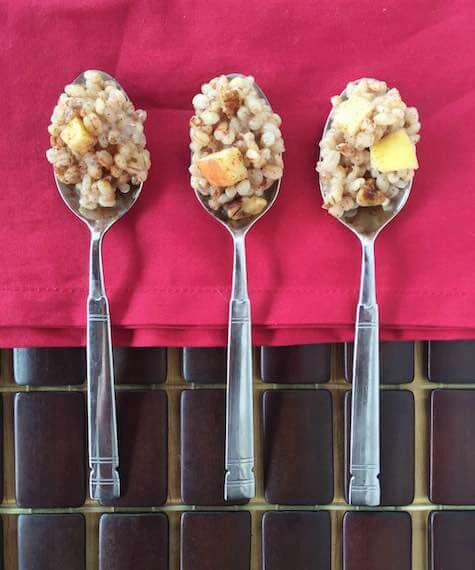 When divided into two servings, each serving packs almost 12 grams of fiber and 17 grams of protein. Talk about serious staying power! It should store in your fridge for up to a week, but good luck having enough to last that long. I topped a bowl with fresh fruit and it kept me satiated all morning long which is quite impressive for me. Plus, I love knowing that I’m getting the added benefit of omega-3s “small but might” chia seeds. 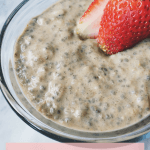 In this chia seed pudding variation, I opted for almond butter however it would be just as tasty made with any other type of nut butter – peanut, cashew, sunflower…you get the idea. 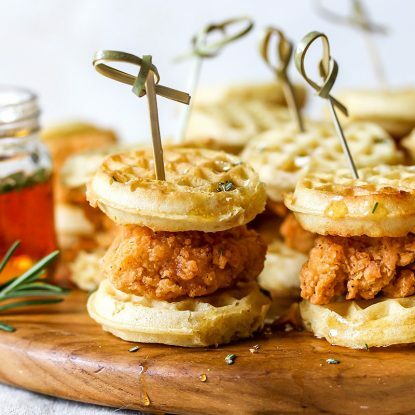 Definitely let this recipe serve as a vehicle food for you to help create new recipe variations. 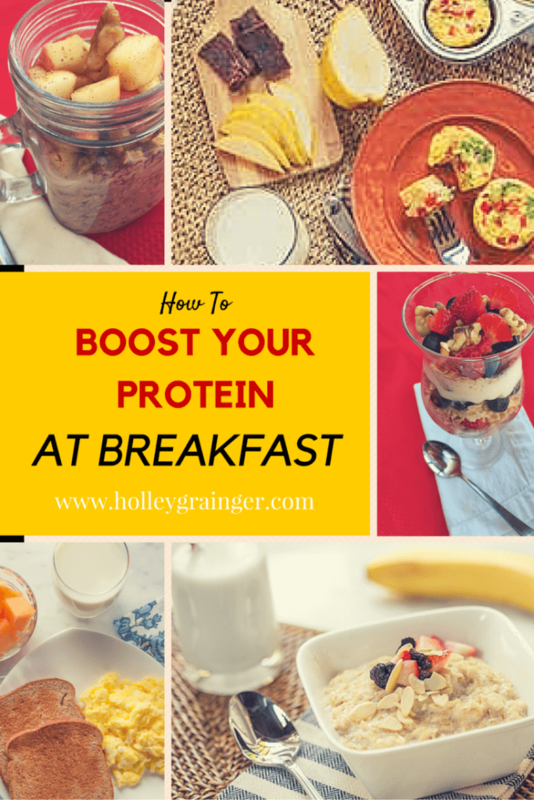 Feel free to play around with additional flavors, protein powders, and spices to make it your own. 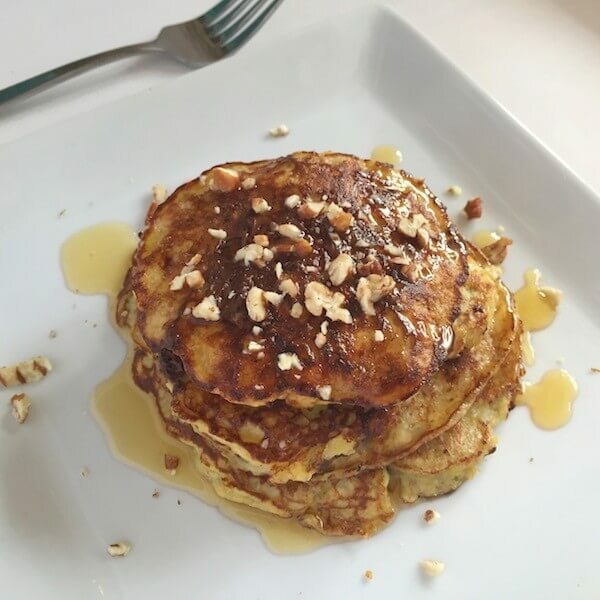 I added cinnamon in my second batch and enjoyed the added depth of flavor it gave to the dish. 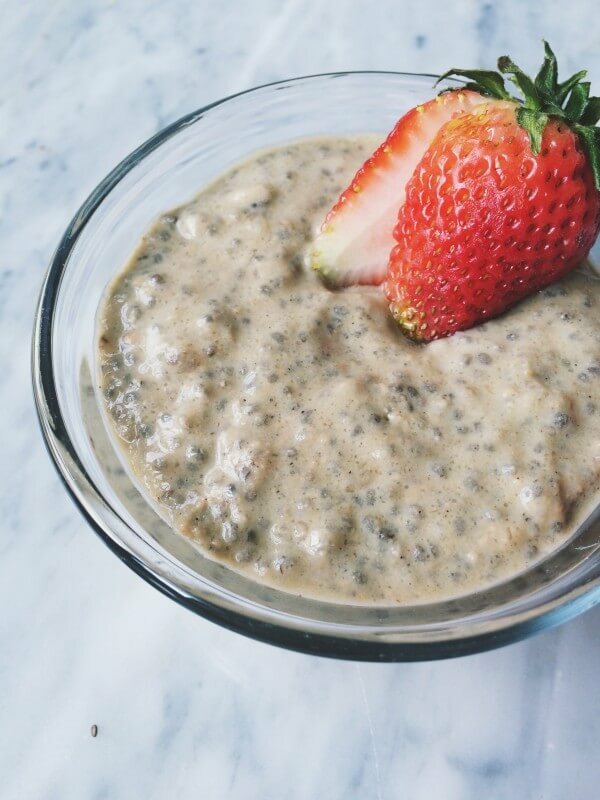 Have you tried your hand at making chia seed pudding before? I would love to know your favorite flavor combos! Also make sure to connect with Holley and me on social media to stay up-to-date on our latests recipes, nutrition tips and more! Combine all ingredients in bowl of food processor and blend until all ingredients are incorporated. 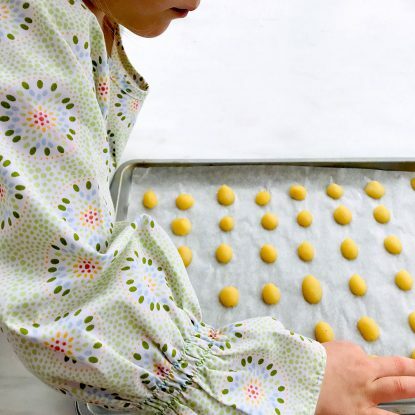 Pour contents into 2-3 small bowls or ramekins. Transfer to fridge and allow to sit for 6-8 hours to set prior to eating. 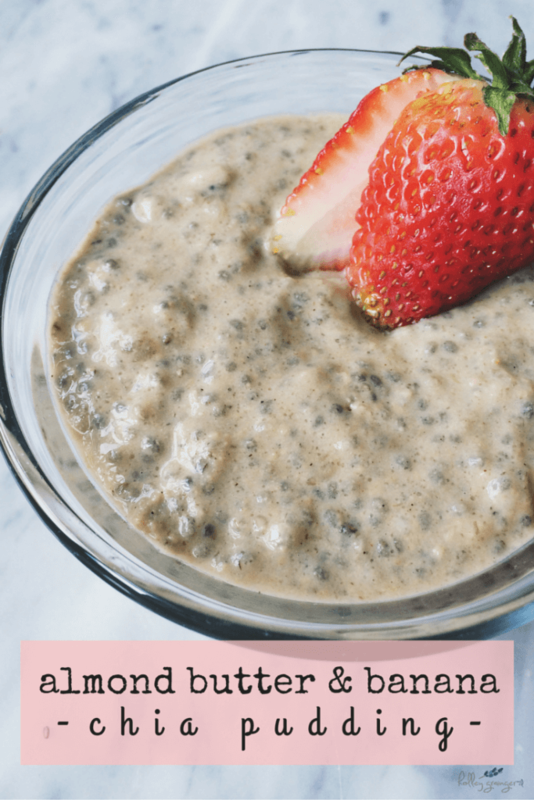 Creamy, full of fiber, and a good dose of omega-3s, this chia seed pudding is the perfect addition to your breakfast or snack line up!